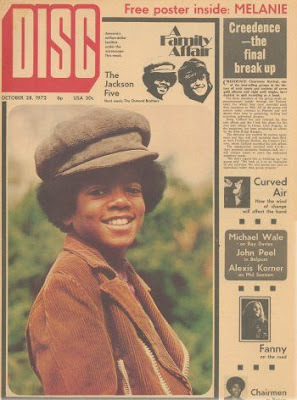 1972 - Disc magazine[UK] featured Michael on their cover. 1979 - The Jacksons perform Destiny tour in Springfield[US]. 1983 – Say Say Say premiered in the UK on Channel 4’s The Tube music programme. 1993 - Michael Jackson enables 5000 deprived children in Mexico to visit "El Nuevo Reino Aventura Park" in Mexico, home of whale Keiko, the whale in Free Willy. Michael scheduled a visit to the park but ended up not making it to the park. Michael did get out in Mexico to shop at a Mixup Record Store at Pabellon Polanco shopping mall. During his one hour visit, Michael signed autographs and purchased $4000 worth laser discs and compact discs. He seemed very comfortable during his visit and even danced in the back of the store. In the same month, Jackson passes thousands of concert tickets to the necessitous children of Rio de Janeiro, Brazil, and provides thousands of such children with another set of tickets in Buenos Aires, Argentina. 2000 - Escorted by actress and friend, Dame Elizabeth Taylor, Michael attends the "Carousel of Hope" ball presenting a new look. 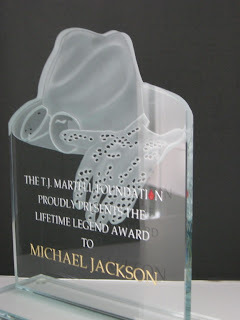 During the fund-raising gala addressing juvenile diabetes, held at the Beverly Hilton Hotel in Beverly Hills, California, hosted by Jay Leno, more than 50 plates, which had been painted by celebrities, were auctioned and Michael Jackson had been one of the stars that donated a self-painted plate for the good cause. He also donated a limited-edition poster at the "African Ambassadors’ Spouses" annual gala, organization directed to treating children suffering from AIDS. The "Carousel of Hope" Ball raised more than 6 million dollars benefiting the Children's Diabetes Foundation. Marvin and Barbara Davis, founder of the "Carousel of Hope" evening of charity fund-raising, hosted the mentioned lavish lunch for the out-of-town guests, plus participants in the fundraiser. Among those who stopped by to hug Michael Jackson is Berry Gordy Jr., his discoverer, and Susanne de Passe, as well as Shirley MacLaine, Carrie Fisher, Joan Collins, David Foster, Toni Braxton, Sidney Poitier, Gregory Peck, Neil Diamond, Dustin Hoffman, Morgan Freeman, Pierce Brosnan, Goldie Hawn, Kurt Russell, Jennifer Love Hewitt, Sylvester Stallone, Charlotte Church, to name but a few. 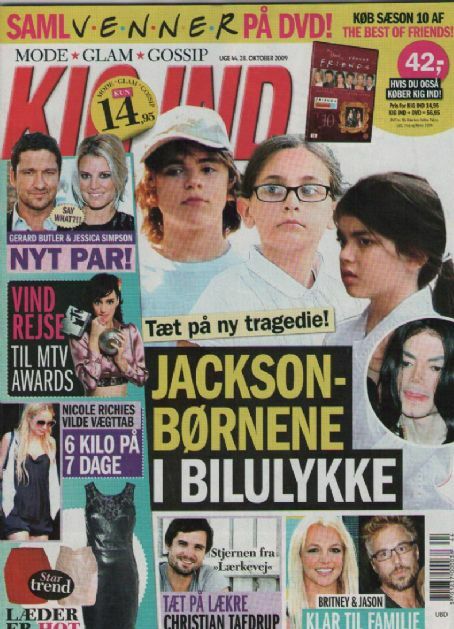 Barbara Davis had also told Michael Jackson "Ricky wants to meet you." At the end of the event, Michael appeared on stage and congratulated Ricky Martin on his live performance before taking the applause from the crowd. Saturday October 28th, Michael Jackson attended the Carousel of Hope, a bi-yearly charity event in aid of childhood diabetes research. The evening was hosted by Jay Leno and included an impressive list of famous guests; Sydney Poitier, Gregory Peck, Dustin Hoffman, Toni Braxton, Morgan Freeman, Ricky Martin and Warren Beaty, to name but a few. 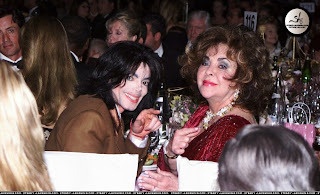 Michael Jackson attended the gala with Elizabeth Taylor. The King of Pop appeared on stage during the evening, and congratulated Ricky Martin on his live performance. The Carousel of Hope took place at Beverly Hills' Beverly Hilton Hotel. More than 50 stars, including Michael Jackson, contributed to the charity by donating self-designed painted plates which were auctioned during the evening. 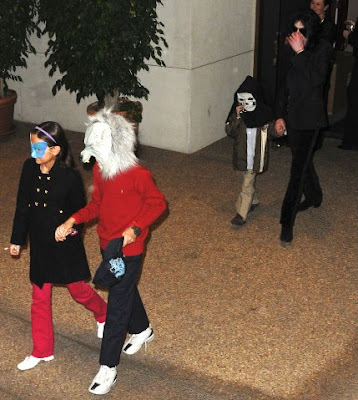 2008 - Michael and his children do some shopping at Lladro in Los Angeles, Ca. 2009 - Michael Jackson's This Is It, documentary–concert film directed by Kenny Ortega was released, giving a limited two-week theatrical run until November 12, but theatrical release was later extended due to huge demand. At the 34th annual Awards Gala of T.J. Martell Foundation, held at the Hilton New York Hotel, Michael Jackson is honored the first-ever Lifetime Legend Award, for being the single largest donor in the T.J. Martell Foundation’s 34-year history. Other honorees include: Humanitarian Award to Jon Luther, Spirit of Excellence Award to John Esposito and Lifetime Artistic Achievement Award to Bruce Lundvall. The celebratory evening was of fund-raising, to support research for cures and treatments for leukemia, cancer and AIDS. The T.J. Martell Foundation was founded in 1975. T.J. Martell, son of music industry executive Tony Martell of Madison, was a young victim of leukemia, and before his death at 21, he convinced his father to promise he would raise $1 million to fight the disease. Since then, the foundation in T.J. Martell’s name has provided more than $225 million for research. Kig Ind magazine[Denmark] featured Michael & the kids on the cover with the headline: Jackson - bornene i bilulykke [Jackson - children in car accident]. This entry was posted on 28 October 2010 at Thursday, October 28, 2010 and is filed under 1972, 1979, 1983, 1993, 2000, 2009 . You can follow any responses to this entry through the comments feed .